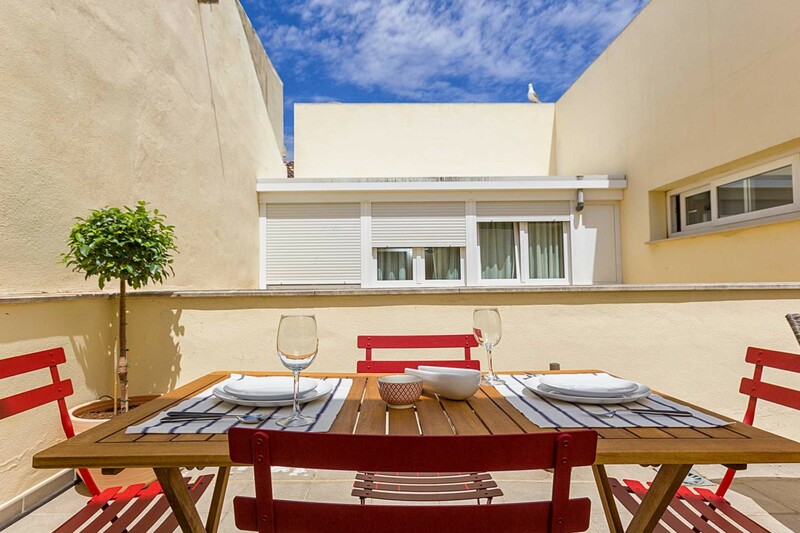 This 85m² (15 m2 terrace)holiday apartment is located on the 4th floor in a secure building with lift. 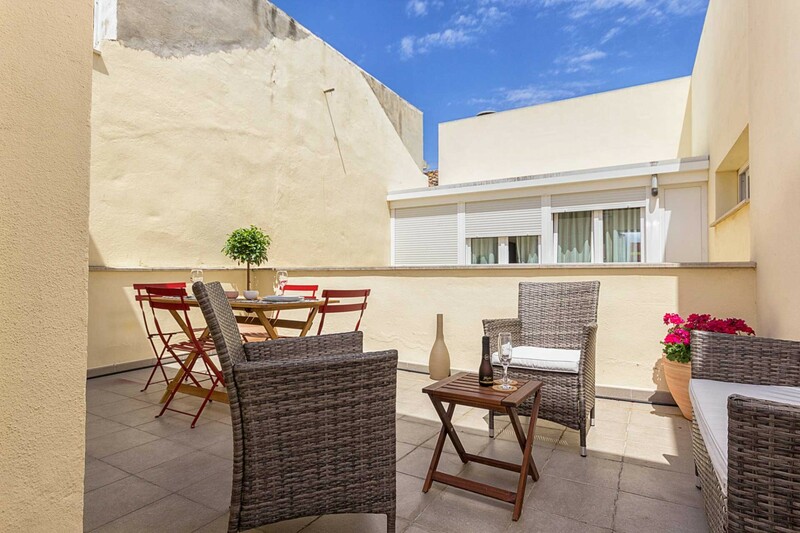 It is situated in the heart of the historic quarter of Malaga city centre. This apartment is less than 15 minutes’ walk from Malagueta beach and foot-steps away from Malaga’s Atarazanas famous fresh food market. 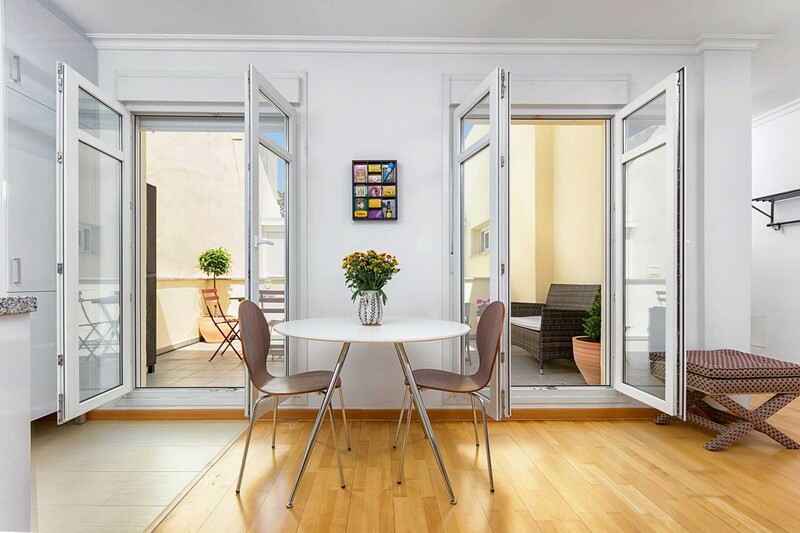 The holiday rental in Malaga city has been decorated in stylish Scandinavian design. It boasts an abundance of natural light, master bedroom with en-suite bathroom and walk-in wardrobes, second bathroom with shower and private internal sunny terrace which offers perfect accommodation for a romantic city break. 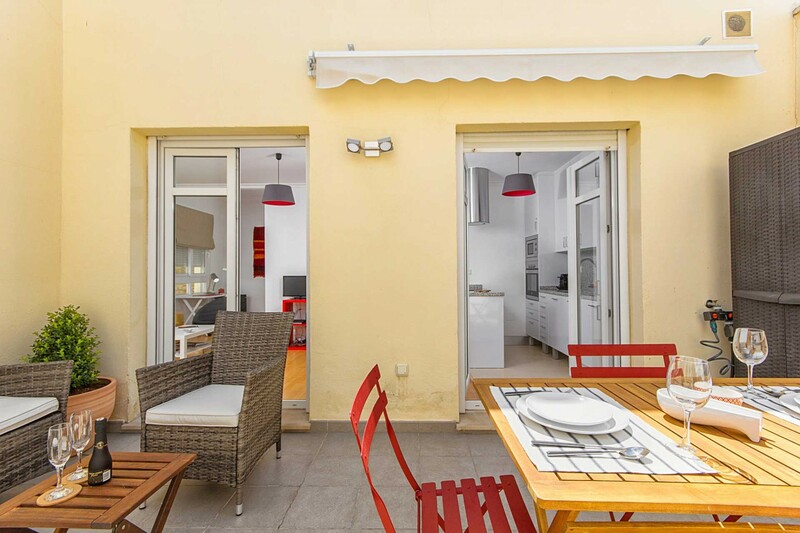 This luxury holiday apartments in Malaga is set on 1 level, it comprises of a spacious open-plan living/dining room with direct access to the terrace, office suite, fully fitted open-plan kitchen, en-suite bathroom with bath, walk-in wardrobes and additional bathroom with shower. The spacious internal private terrace can be accessed from the living room and offers 4 chairs with dining table and a sofa and 2 comfortable chairs. Perfect for soaking up the midday sun. The bedroom offers a large comfortable double bed. From the bedroom you will find walk-in wardrobes leading to the en-suite bathroom with bath. The second bathroom offers a shower. The apartment also has a handy office suite if you wish to mix business with pleasure. We offer high-speed wireless Internet. Private indoor secure parking is available for 15 € per day. The parking spot is situated 800 metres from the apartment. 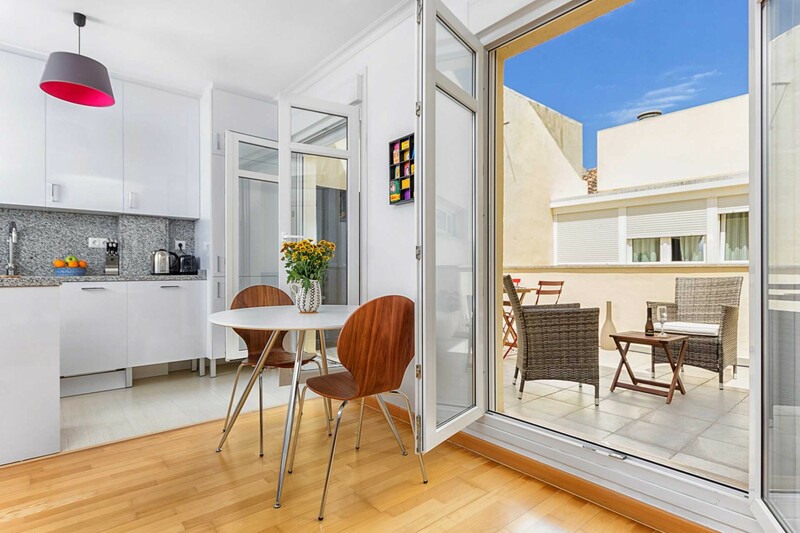 1 TV, TV Satellite (Languages: Spanish, English), 4rd floor, lift, garden furniture, 15 m² terrace, iron, internet (Wi-Fi), hair dryer, 85 m² property, air conditioning (hot/cold), air conditioning throughout the house, Garage in the adjoining building.